Calling all coffee lovers! 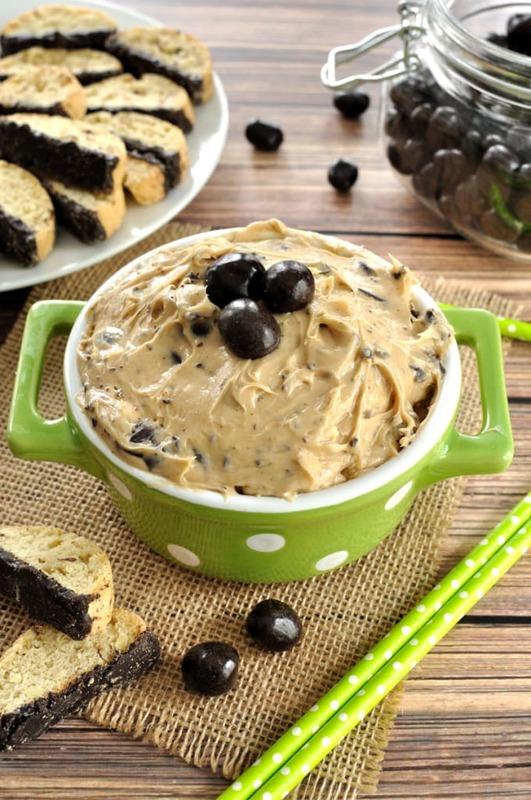 I have a recipe that is going to make your day- chocolate espresso dip. 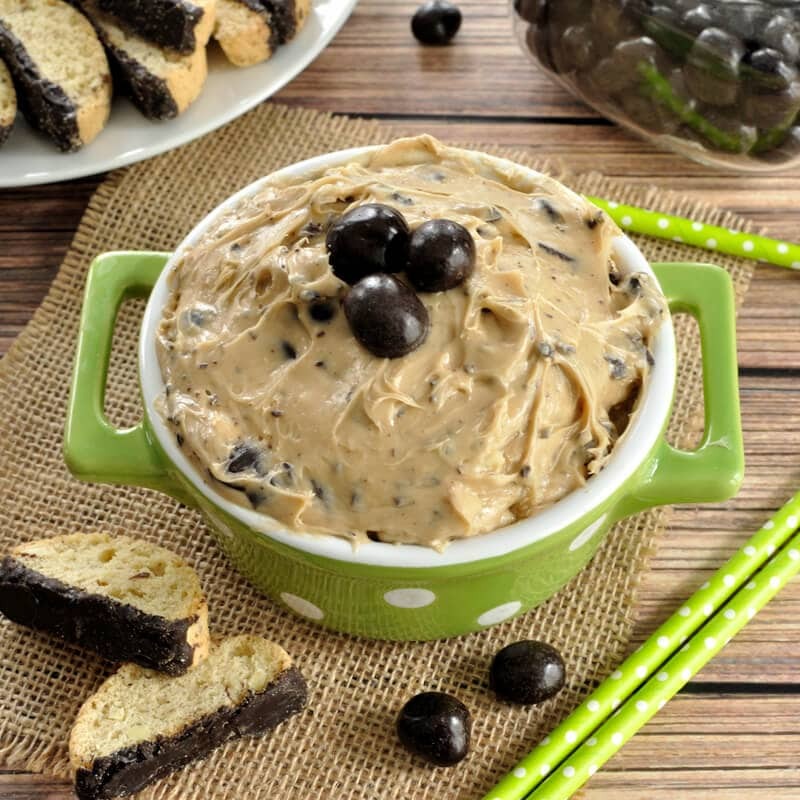 Yes, chocolate and espresso come together in dip form. 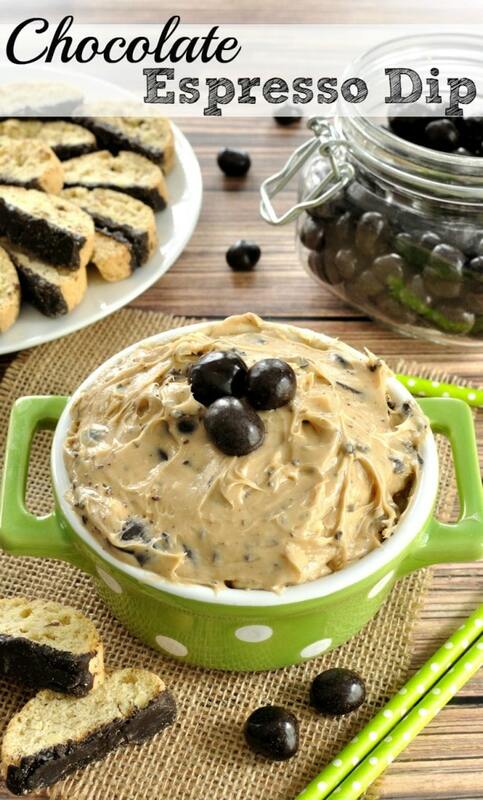 This dip is epic! 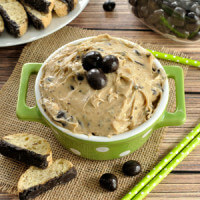 Serve with biscotti, chocolate graham crackers, or your favorite cookies. 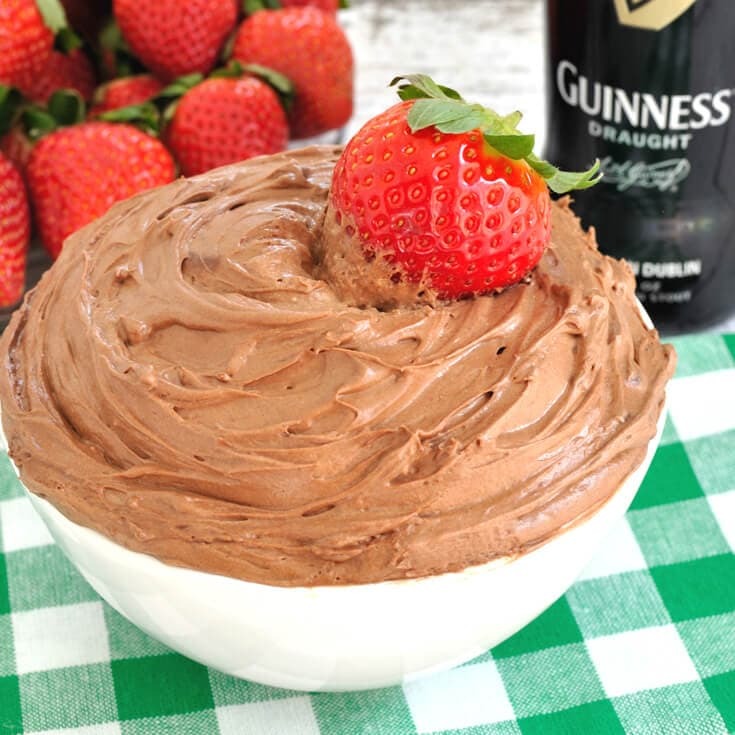 Great recipe to serve for a brunch gathering or shower. 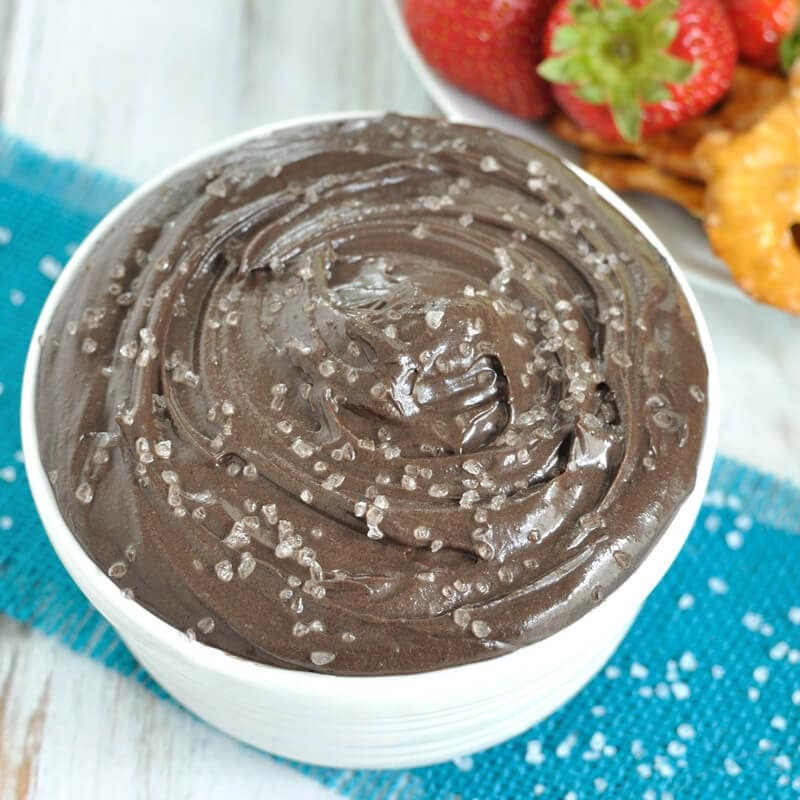 5 ingredient chocolate espresso dip! 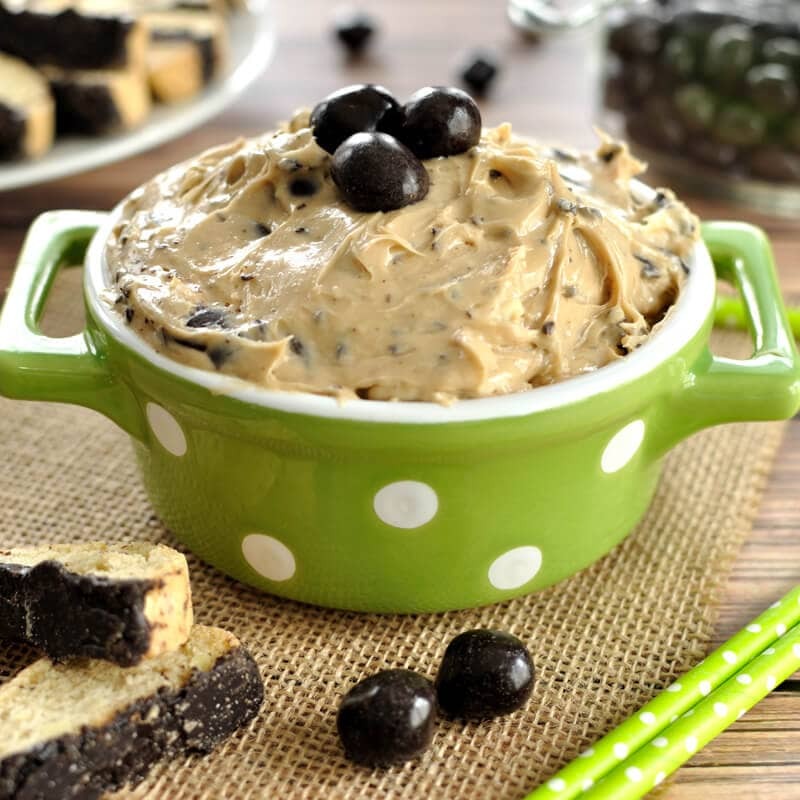 Easy dip recipe makes a great appetizer or dessert for a brunch or party. Calling all coffee lovers! 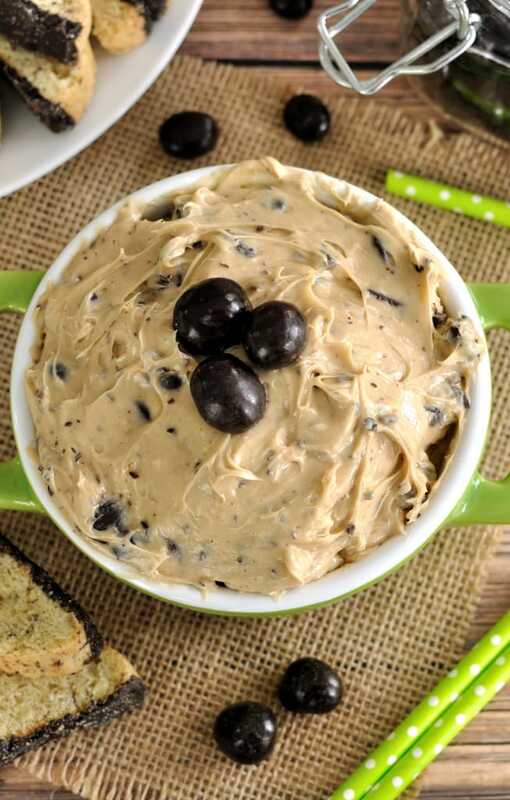 In a medium bowl, beat the cream cheese until smooth and creamy using a mixer on medium speed. Slowly add in the powdered sugar and mix until well combined. Mix in the espresso powder and vanilla. Fold in the chopped chocolate espresso beans. 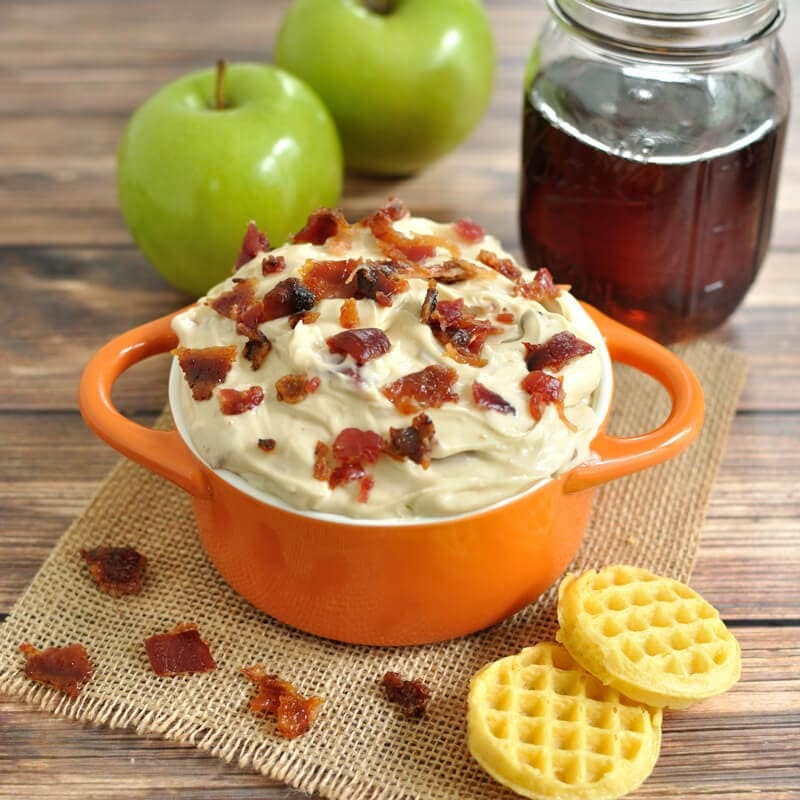 Chill dip in the refrigerator for at least an hour or until ready to serve.